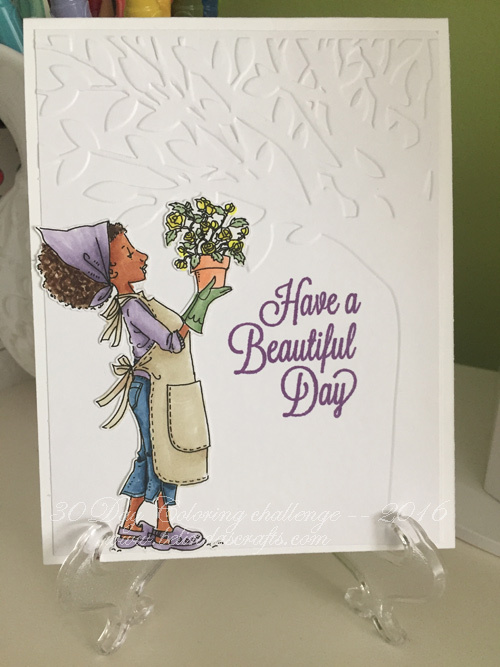 30 Day Coloring Challenge #4: Day 26 – Garden Sadie card complete! Hello day 26!! The first thing I did this morning after dropping off the boys at school, was come home and make a cup of tea. After that I headed over to the polls and cast my vote for the Primaries. I always feel a bit emotional when I have the opportunity to vote. It is a blessing that I never take for granted and always take seriously. I usually bring the boys with me but they were in school today so I went alone. Holding a ballot in my hand and standing there marking my choices and thinking about all the people that made this possible for me, was pretty heavy for my morning. Hence why I had a cup of tea before going. Nonetheless, I am once again thrilled with the opportunity to vote. After that I headed to my craft table to complete my Gardening Sadie card. 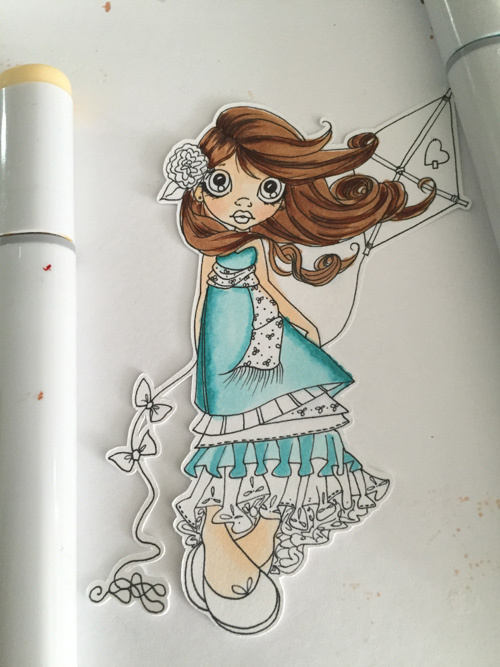 I used one of those extra embossed cardstock from a previous card to be her background. 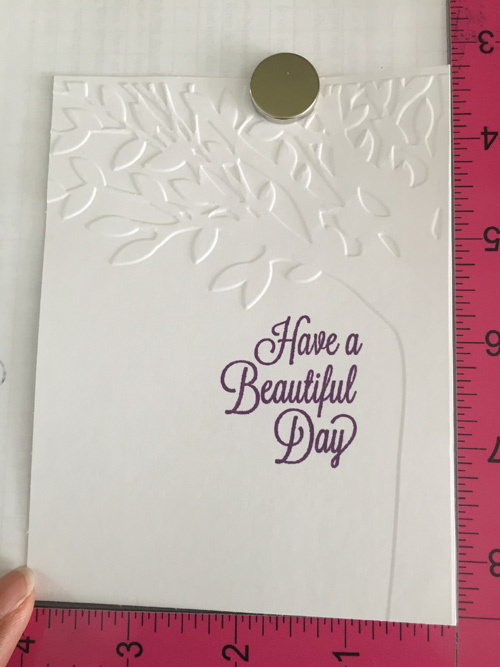 Then I used my MISTI to add this lovely sentiment from a Flourishes stamp set. Another great stamp company that closed down. I used ‘Grape Jelly’ Momento ink for the sentiment. I added Sadie and this card is another clean and simple design that makes me smile. I hope you like her too. Then I got started with another image. This one from Saturated Canary and I think she is called Kite. Used my trusty Silhouette to cut her out and started coloring her. Not so thrilled with the way the blues are blending but will keep working with it and see what happens after I let it set for a while. 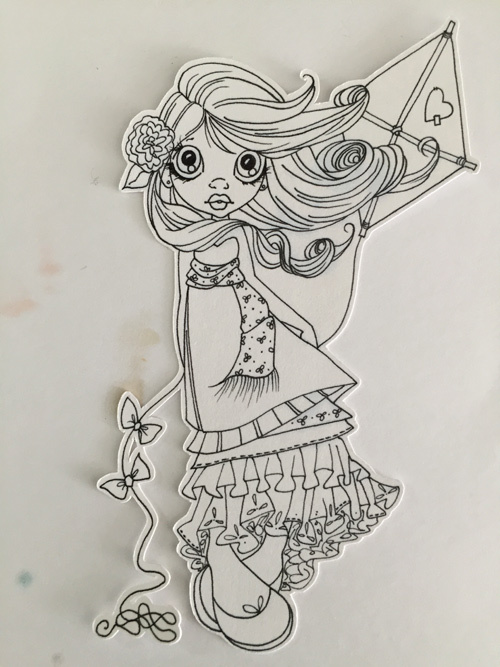 I will finish coloring her tomorrow and share the finished card with her on it.